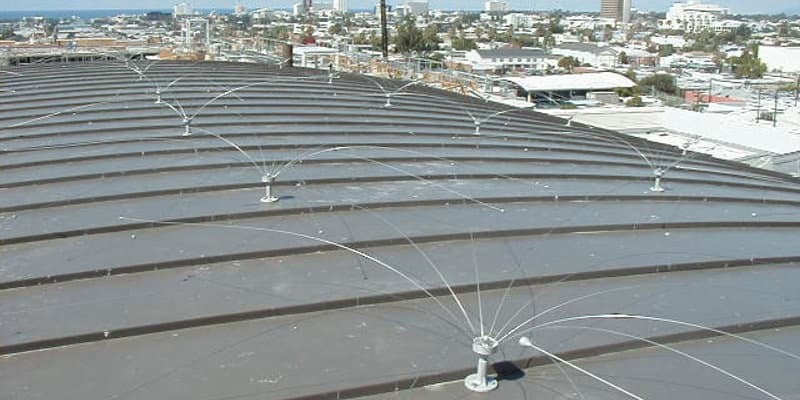 The Daddi Long Legs Bird Deterrent system can be used against feral pigeons and gulls, up to medium infestation pressures. 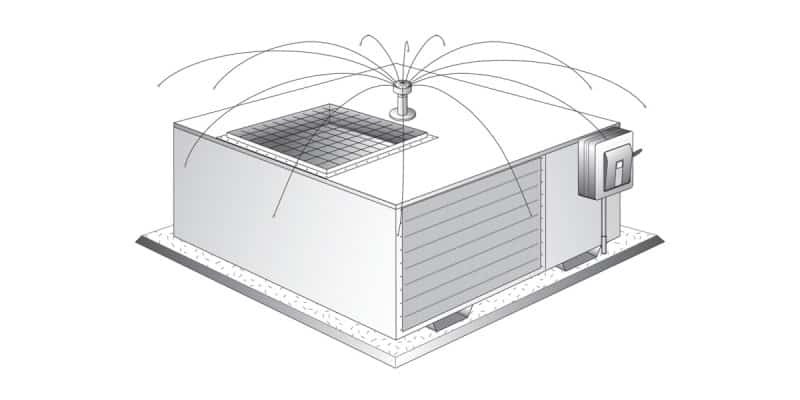 This bird control system is ideal for use on surfaces that require regular access for maintenance, such as silo tops, air conditioning units, ventilation plant, and awkwardly shaped surfaces like street lights. When it comes to pest bird control, there is a wide range of different options available. However, while solutions like bird spikes or bird nets work well in some areas, they are not always applicable. Things like street lights and air conditioning units are not suited to these methods, and even some flat roofs can be difficult to cover with traditional methods. In particular, areas that need regular maintenance access will need something other than netting to protect them from pest birds. That’s where the Daddi Long Legs bird deterrent system comes into play. Using an innovative design that’s proven to deliver real results, this system can make a huge difference in keeping pest birds well away from your property. By ensuring that every last inch of your building is covered, pest birds will have nowhere to roost or nest- so their only option is to fly off somewhere else. The Daddi Long Legs deterrent for pest birds has a fixed base and a freely rotating head with extended stainless-steel wires. These wires are in turn fitted with weights that bounce in the wind or when pest birds make contact with them. Not only does the movement frighten off more timid species of pest birds, but even hardy breeds such as gulls will find it extremely irritating to feel the wires rubbing against their wings as they try to land or take off. This will encourage the pest birds to look for another location to land and protect the area below from any build-up of bird fouling caused by the bird species. After installation, the complete head section can easily be temporarily removed in order to allow any maintenance work to be carried out to the bird-proofed structure. The system can even be moved elsewhere in the event that you move premises, making this a cost-effective long-term approach to pest bird control. The Daddi Long Legs bird deterrent is a completely humane system, too. Each of the wires is tipped with a weighted plastic bobble, to ensure that the birds are not harmed by contact. Rather than hurting the birds, the system just gets in their way and annoys them until they give up and move on to another area. When installed on street lights and high structures, the Daddi Long Legs bird deterrent system is highly discrete, and blends in well to the surrounding environment so that most people won’t even notice it’s there. Not only is the Daddi Long Legs pest bird deterrent system highly effective at keeping birds away from your property, but it is also a remarkably versatile tool, too. Since it only requires a small surface area for the base, this system can be installed virtually anywhere. From boat booms to bridges, street lights to industrial units, this scalable solution works for all sorts of different requirements- making it one of the most popular pest bird control products we fit. Pest Solutions carry out all aspects of Pest Bird Control throughout the UK. Our technicians are always on hand to provide and install all the Daddi Long Legs bird deterrent for you. What’s more, we also have a wide range of additional pest bird deterrent systems available, allowing us to come up with the perfect setup to meet your needs. Contact us today for more information or a FREE survey. Our expert team of pest bird control specialists are highly trained and carry IPAF and PASMA certification, meaning they are fully equipped to work at heights. Pest Solutions are also Safe Contractor approved to ensure that all work is carried out safely. Pest Solutions have a highly skilled staff of fully trained pest control technicians here that can help rid you of any pest and pest bird-related issues. The Daddi Long Legs Bird deterrent system is an effective solution against unwanted bird species, so it could well be the answer to all your pest bird problems. With local offices in 22 cities all through the United Kingdom, Pest Solutions provide you with a rapid response service to completely eliminate any pests that may be affecting your home or business. Call now on 0800 027 2555 and arrange your FREE survey today!